"collect pre-owned chest binders from guys who don't need them anymore and donate them to trans-masculine youth in need." It's pretty cool that a program like this exists, and I'm delighted a reader told me about it so I could share it here with all of you. What a fantastic way to give back to the community. It makes my heart happy. This is also open to nonbinary AFAB folks! 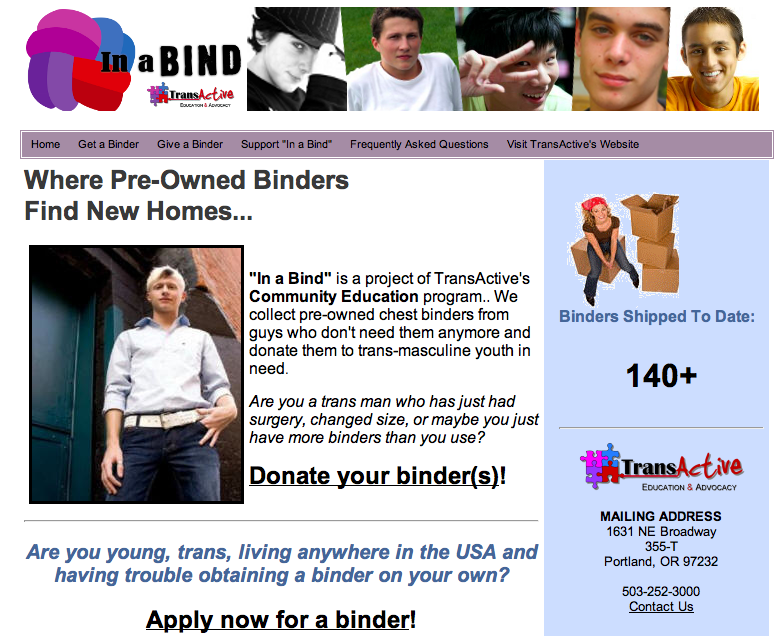 Many nonbinary identified people bind as well for a lot of the same reasons that FTM people do, and the other big used binder program isn't open to nonbinary people.